Want to tell us what you think of our books or services, or just fancy letting us know what you had for tea? Leave a comment in our guestbook! If you have a burning question about an order, email us at customerservices@cgpbooks.co.uk for a speedy reply! 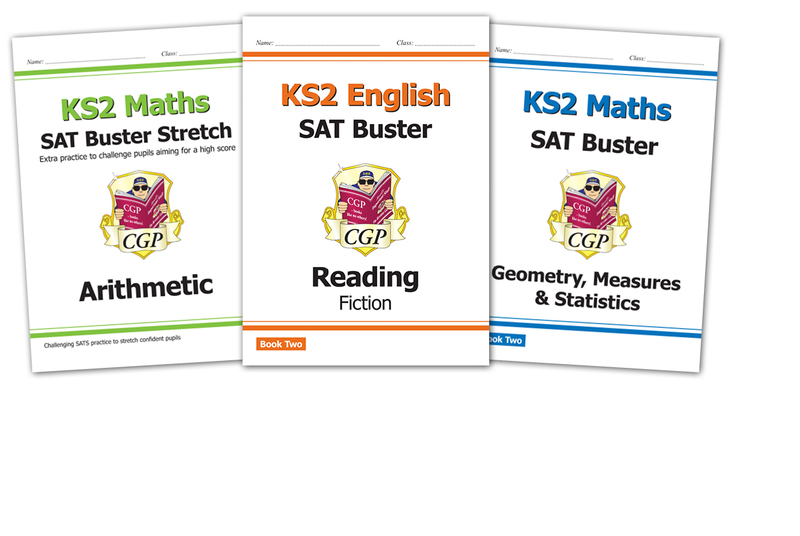 These books have actually saved my GCSEs. Thank you CGP for making good, honest, useful books that have taught me more than my teachers did. Honestly the perfect revision tool. Also much appreciate how affordable they are. A) I have no idea how you know that, but congratulations. B) You're right — luckily, we've already corrected it in the latest version of the book. On the bottom of pg52 of GCSE ocr compsci exam workbook the word marks has a capital letter. It doesn't anywhere else in the book. My inner perfectionist is triggered. Somebody has been sacked for that, we can assure you. Hi there! I just wanted to say, I absolutely love your revision guides - they've all saved my life at least A MILLION TIMES!!! I also love your sense of humour...has anyone else noticed the funny message on top of the barcode at the back of the book? 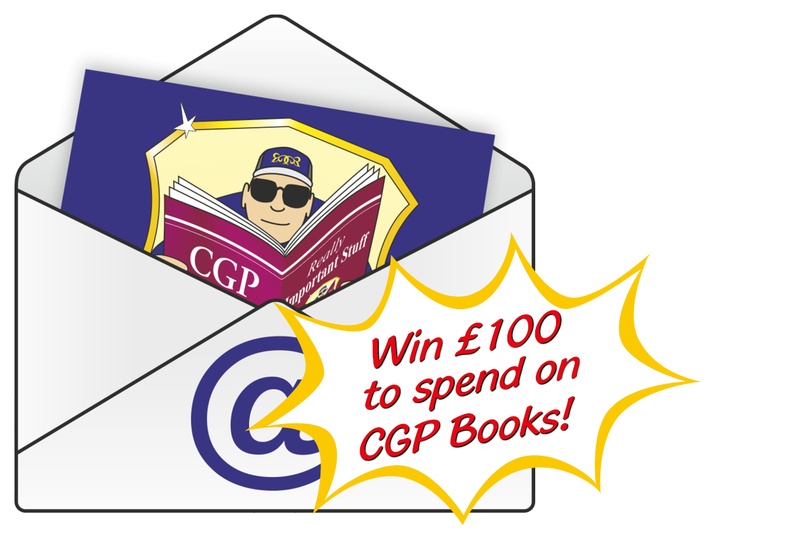 I usually find myself in the school library trying to find every CGP book just so I can see what's on top of the barcode! Anyhow, keep doing what you're doing, cos you guys are great! Thank you so much for saving all those kids out there from exam failure! Hey, no problem. Saving students' lives is all in a day's work at CGP. The barcode comments aren't meant to be funny, by the way. It's all very serious heartfelt advice. do you remember that old rhyme - "first the worst, second the best, third the dirty donkey"? 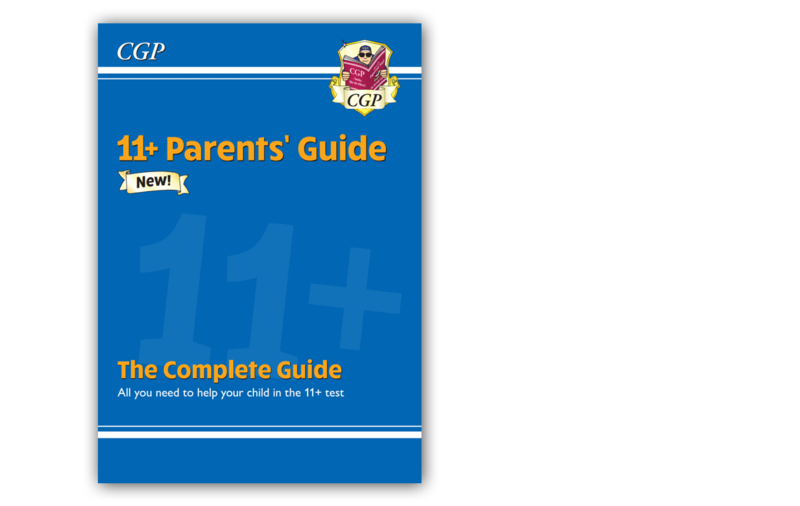 i think that rhyme is a load of horseapples, because it should actually be "first the CGP" and then it should end there, because your books completely outshine the competition. so essentially, do you remember that old rhyme? don't. it's been rendered null and void in favour of your printing presses. You're right — CGP is the best at everything, and any text that implies the existence of competing entities is a load of horseapples, or possibly even horseradish. Thanks for confirming our suspicions. 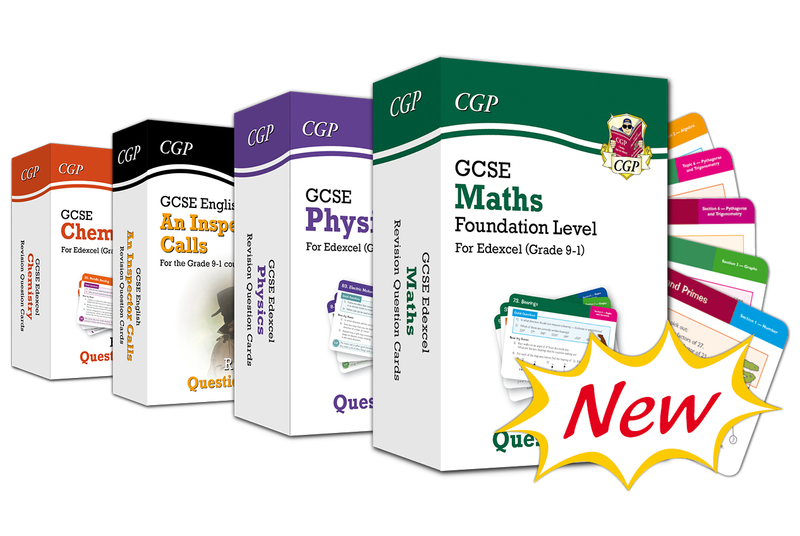 I love this website as you can get online editions of revision guides you've already got, however none of the English ones have a online redemption code. Why not? Less flippantly, we're always keeping an eye on our Online Editions, so it's possible we'll add them to more books in future. P.S. Our GCSE English Complete Revision & Practice books include Online Editions, so we haven't left English completely offline. Just so you know, in the iGCSE Edexcel Physics (9-1), grade 8-9 targetted exam practice workbook, on P14, question 4b) the question asks for average power, but the answer box states average current. Thank you for making your exam practice workbooks - they’ve become a lifesaving source of quality practice questions for me, especially because there are so few past papers for the 9-1 exams! Will you ever do Religious Studies revision guides? A bit late now for me since I’m in year 11, but I’m sure future years will benefit. Thanks very much — we'll get that Physics question checked and corrected. Great to hear the books have been helping you shape up for your exams. Please do a revision guide on the Cambridge National certificate in Enterprise and marketing. It's fairly unlikely for the time being, I'm afraid, but I'll wish upon a star and/or quasar on your behalf. The online versions for some of the books are really hard to navigate through, and it takes a lot of work to get to where you want. Will this be fixed? Sorry to hear you're having trouble navigating your Online Editions. It shouldn't be too much hard work, so it's possible that your web browser is blocking Flash from working. Luckily, it's easy to change your browser settings to allow Flash to work on the CGP website — just drop us an email if you need any help. Chemistry is the international language that brings people together across the world. If I'm ever stumped for dinner party chit-chat, I just drop in a casual reference to buckminsterfullerene, and suddenly the whole table lights up with animated conversation.